Facility is equipped to provide a variety of the purification and quality assurance protocols including analytical and semi-preparative HPLC with radioactivity, UV, and fluorescence detection, ITLC, LC, and TLC. Standard operating quality assurance protocols are already set up for several proteins, peptides, antibodies, and small molecules. New protocols can be prepared and tested at the request of the investigator. The Facility provides radiolabeling services to the UNMC clinical research community from the pre-phase I through the expanded access clinical trials. Over 30 clinical trials were completed with the support of the Facility. The total number of doses prepared exceeds 1,000 (~52.5 Ci). 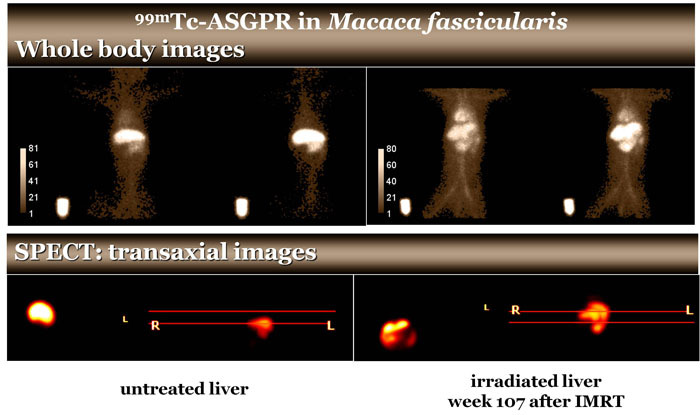 Novel ASGPR-seeking reagents for the assessment of liver function are developed and tested in mice and nonhuman primates (>50 studies in cynomolgus monkeys). New theranostics are developed and tested in mice for imaging and therapy of prostate, ovarian, breast, pancreatic and brain cancers. 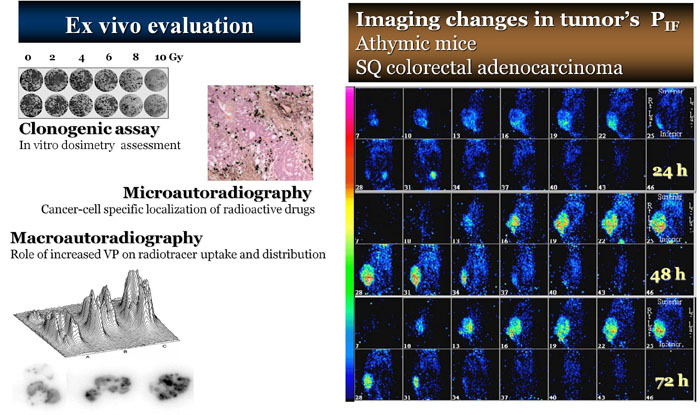 Diagnostic radiopharmaceuticals for the early detection of AD and for the longitudinal imaging of AD response to treatment are tested in AD mice. Radiolabeled microbubbles are tested in pigs.